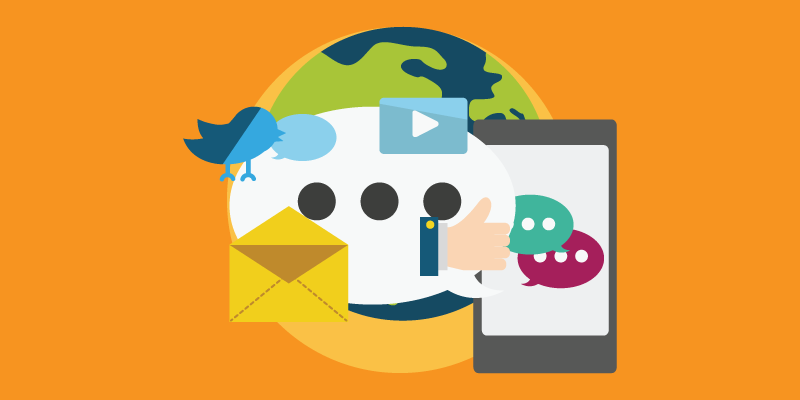 Previously we wrote about getting started with social media, and together with what we have written about achieving social success, you should be able to create a dynamic presence on several social media platforms. But this does not guarantee that everything you post will be seen by a large number of your followers, or that it will be seen by anyone outside of your actual audience. Much of this is influenced by how engaged your followers are, and if your more engaged followers – those who frequently like, share and comment on your posts – don’t see or engage with a post, it rapidly disappears with no favourable impact on your business. One of the more effective ways to overcome this, is to regularly run advertising campaigns on your preferred social media platforms, especially if you have a big sale, promotion, or product launch coming up. Similarly, if you’re looking at generating more leads, and simultaneously growing your following, advertising campaigns are definitely more rewarding than your regular posting schedule. This does not discount the value of having a rich social media presence, it simply offers a boost to your visibility and reach, which can translate into a boost in sales. 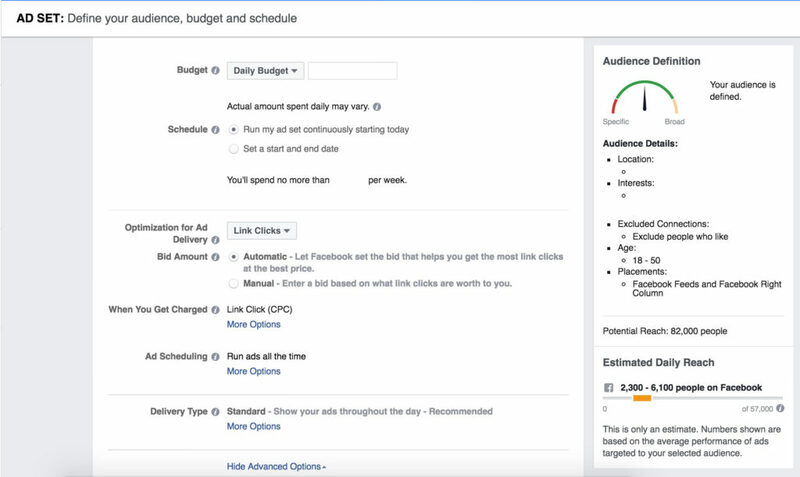 Start creating Facebook ads by launching the ads dashboard. You can do this by selecting Manage Ads from the drop-down menu in the upper-right corner of your Facebook page, or by navigating to https://www.facebook.com/ads/manager. The ads dashboard provides an overview of any ads and campaigns you have previously run, including performance. 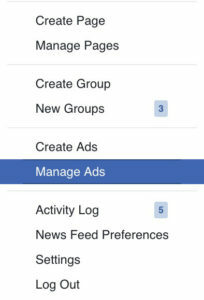 From here you can also access the full range of tools Facebook makes available for creating and managing ads; this is done by selecting the Ads Manager hamburger menu in the upper left-hand corner. Alternatively you can jump straight into creating your first ad by selecting the green Create Ad button in the top right corner, just below the gray menu bar. Two of the most important steps when advertising on social platforms is choosing the right objective, and targeting the right people, and – at the risk of stating the obvious – to do this you need to confidently know what you want each ad campaign to achieve. Boost your posts – the simplest of Facebook ads, this is only suitable for times when you have an important post on your Facebook Page, and you want to “boost” the reach (how many people see it), and engagement (reactions, comments & shares). Promote your Page – this differs from increasing brand awareness in that the only action people can take is to Like your Facebook Page – hopefully, they will also visit your Page and take other actions, but that isn’t the goal of this ad type. You can control where on your Page users end up, with the default being your Timeline. Call Now – allowing users to immediately call your business. This option is only available for ads shown on mobile devices. Get Directions – displays a map highlighting your location, making it easier for users to navigate to you. Learn More – sends users to a link that you have specified, either your Facebook Page or a specific page of your website. Increase brand awareness – with this objective your ads allow users to Like your page, but can include a Learn More button which directs users to a website page you specify. Facebook optimises the placement of these ads to be shown to users most likely to recall your ad, though you can override this by manually setting the frequency with which your ad is shown to the same users. Remember that this ad type is designed to lift brand awareness and recall, not drive conversions, website traffic, or app installs. You are able to add URL parameters to your display link, making it easier for you to track the results of separate campaigns. Avoid simply sending users to your website’s homepage, linking rather to product pages, landing pages, and other pages that encourage conversion. You can include a deep link URL with the app installs objective so when a user launches your app for the first time, they are immediately taken to a specific place/page within your app. Raise attendance at your event – designed to promote any events you have organised, the ad will obviously include all details of the actual event, and allow users to express interest in attending; but avoid generic headlines and body text, and instead use these to “tell” users why they should attend. Get video views – for some time now Facebook has allowed slideshows, which are essentially looping videos consisting of up to seven static images. This objective allows you to highlight a new video or slideshow, or to promote an existing video/slideshow, which can boost your brand awareness. You are able to link to a specific webpage too, but focus on linking to a page that is relevant to the video/slideshow and encourages conversion. Increase conversions on your website – not too different to the “Send people to your website” objective, especially if you’re already sending people to specific pages designed to convert – which you should be. 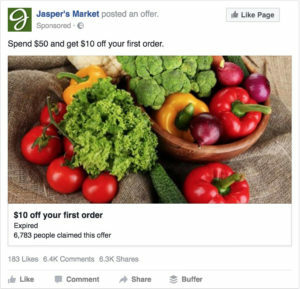 Get people to claim your offer – linked to conversions, your ad can feature either an existing offer which you are promoting or a unique offer for Facebook users. Your ad will include details of the offer, where/how it can be redeemed, and when it expires. You have the option to include terms and conditions too, if necessary. Promote a product catalogue – this objective is only available if you have already created a product catalogue on Facebook, which is a great way to promote specific products from your online store, and to use retargeting. Locations, which can be single or multiple countries, regions, postal codes, and addresses, with further refinement coming from selecting whether you are targeting everyone in that area, people who live in that area, people who were recently in that area, or people currently traveling in that area – the latter only targets people whose home is at least 125 miles from the location you have selected. When selecting a specific town or city, you are even able to expand the selection to include areas within a 50-mile radius, and you can also exclude people based on location. Age, Gender & Language, though as suggested by Facebook, Language can generally be left blank unless you are targeting speakers of a language not common to your selected locations. Detailed Targeting is where you’re able to fine-tune your audience based on specific demographics, interests and behaviours, limiting your ad to only being shown to people based on their education, relationship status, favourite sport, and even the operating system they use. As with location, you can also exclude people based on any of the above. Connections is the final bit of audience selection, and here your options are Pages, Apps and Events. What you are selecting here (or excluding) is people who have liked your Page, used your app, or responded to an event you have organised. Alternatively, you could target the friends of people who have done any of the above instead. Once you are happy with the audience you have ‘created’, select Save and give it a memorable name. You can create any number of audience segments and reuse them on different campaigns where you want to target the same people. A Customer List which you have created yourself using information such as telephone numbers, email addresses, Facebook user IDs, etc., and if you have a MailChimp mailing list, you can even link that to directly import email addresses. 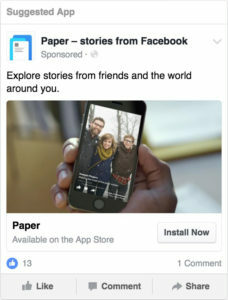 Facebook will attempt to match this information to actual Facebook users so that your ad is only shown to people you already have an established relationship with. App Activity allows you to define campaigns that target users of your app based on them taking specific actions in your app – which you define. This option depends on you having integrated the Facebook SDK in your iOS or Android app, or Facebook game. 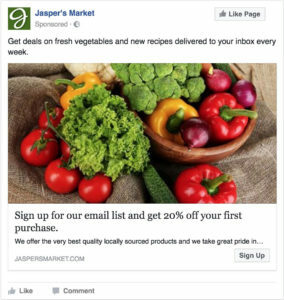 Engagement on Facebook is a new option, allowing you to target customers who have watched any videos you have uploaded to Facebook, or who have interacted with any Lead ads you have running on Facebook. The audience criteria available depends on your objective, so don’t be alarmed if some of these are not available. Once you have defined the audience for your specific campaign, you will have the opportunity to edit where the ad is shown, i.e. on all devices, only on mobile device, etc. The default option is Automatic, which puts Facebook in control of deciding the best placement for optimal results. Although the Automatic option seems ideal, you may well find that manually editing the placement options generates better results, particularly if you want to control which devices your ad is shown on, and whether or not you want your ad shown on Instagram, and 3rd-Party apps and websites. Similarly, you may find ads shown only in the Feed column perform better than those shown in the right column (on desktop), which cannot be controlled using the Automatic option. Daily budget – this sets the average amount you’ll spend each day, for the duration of the campaign. Lifetime budget – this sets the maximum total amount you’re willing to spend over the lifetime of the campaign. Next, you set the schedule, either running continuously, starting as soon as your ad has been approved or with a fixed start and end date. If you choose to run a campaign continuously, you will still be able to turn it on and off via the Ads Manager dashboard. Once you set your budget and schedule, you will be able to see how much your campaign is going to cost each week, while in the right column you will see a summary of the audience you have selected, along with the potential reach of the campaign. Engagement, with ads delivered “to the right people to help you get the most [engagement] at the lowest cost.” We have used the term “Engagement” here to represent any one of the actual terms that might be used, depending on the objective you have selected – it might be clicks, post engagement, leads, etc. Impressions, with your ads delivered to people as many times as possible. Daily Unique Reach, where your ads are delivered to people up to once a day. Bid Amount – either automatic bidding or manually set to a fixed amount by you. Ad Scheduling – if you have selected a Lifetime Budget, you can choose to further schedule your ad to only be shown on certain days, and at specific times. Delivery Type – the Standard Delivery type is suitable for most campaigns, with Accelerated Delivery more suited to reaching your target audience as quickly as possible, especially if your campaign includes time-sensitive information. Note that selecting Accelerated Delivery may raise the average cost of each impression/click, but you will never be charged more than the initial budget you set. It is also only available with manual bidding. As with Optimisation for Ad Delivery, you should test out the various options available to see which generate the best results; don’t base your decisions on what other advertisers have achieved. Once you have completed the Ad Set, you will finally have an opportunity to create the actual ad, from selecting the ad format, through to adding media and text, with a live preview available at all times in the bottom right of the screen. The available options will vary according to the objective you have selected, with Boost your posts not having any options other than the ability to select one of your previous posts; and any media used in the selected post will be included. Take time to preview the ad in all available options (Desktop, Mobile and Right Column) to ensure it looks great no matter where it is displayed. 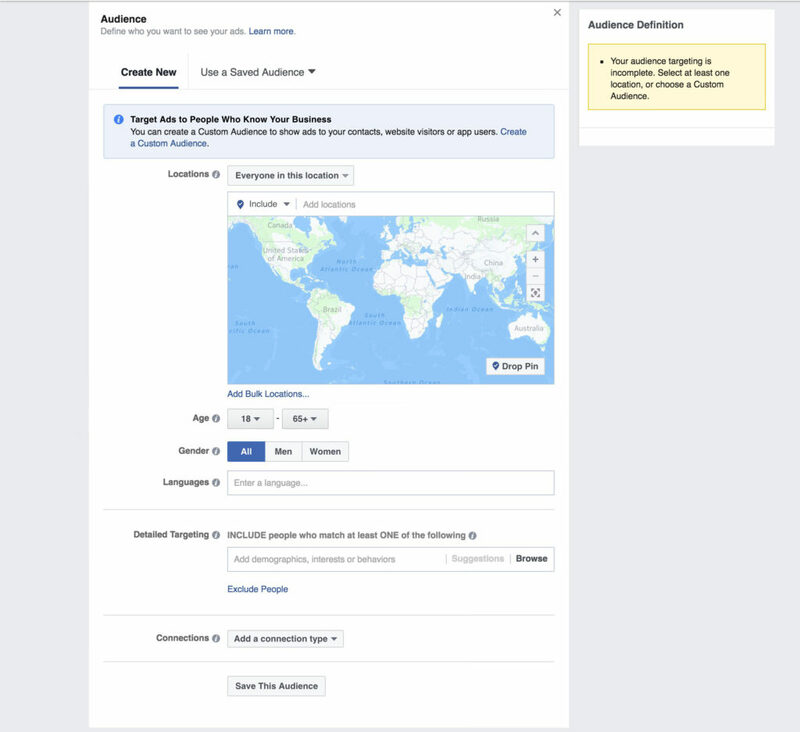 End off by selecting Place Order, which will see your ad now being reviewed by Facebook before it starts appearing in the news feed of your selected audience. As with most aspects of your marketing, you should incorporate split testing (or A/B testing) into your social media ad campaigns. Facebook makes this relatively easy, with the simplest form of A/B testing being the use of different images. With most ad objectives, the Single Image format allows you to upload up to six different images, enabling you to see which image results in the best performance in line with the objective. All the text, links, CTAs,and other components of the ad remain the same, it is only the image that differs. Selecting the Carousel format allows you to not only change the image, but also the headlines, descriptive text and the link URL, but remember that this is not true A/B testing, since all of these are shown to users at the same time, in a scrollable carousel format. Design Tests – create 2-5 ad sets with the same objective, but one of the following being completely different in each ad: format, placement, headline, text, link description, CTA or image/media. Create a new ad set for each, with the audience, budget and schedule being identical. Targeting Tests – again create 2-5 ad sets, but this time the format, image, text, etc. will all remain the same, but your audience will change slightly for each ad set. If your business serves multiple countries, you can target identical audiences, but change the location (country) for each ad set. 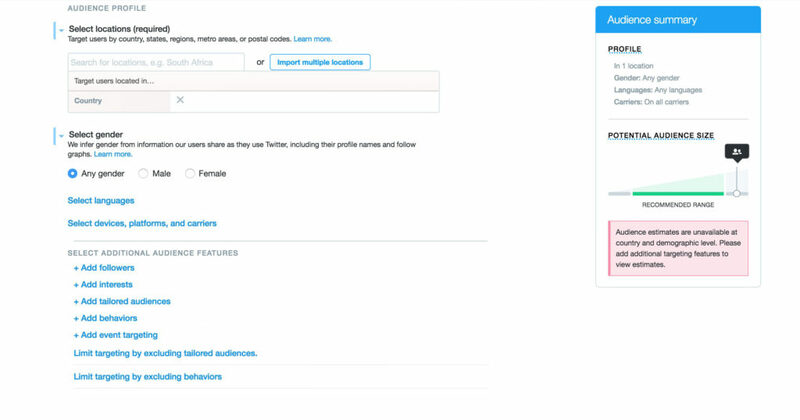 Similarly, you can target different age brackets, gender, and other demographics, depending on the audience you normally target: if your product is gender specific, then targeting a different gender is rather pointless. In both instances the ideal is to measure the performance of each ad set over a 24-72 hour period, depending on your budget and other resources. If time and budget permits, conduct further tests where you fine tune the best-performing ad set, and test it against other variations. 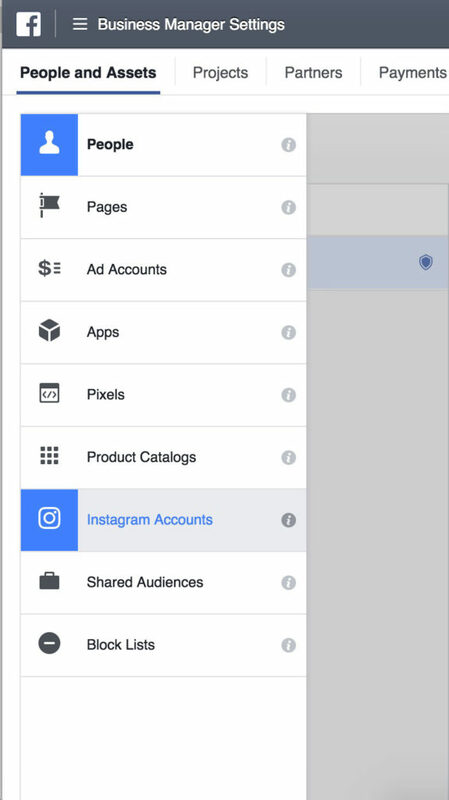 Instagram advertising is fully integrated with Facebook, and each ad set you create in Facebook Ad Manager can be set to appear on both Facebook and Instagram, or just one or the other, depending on the objective. First, you may need to link your businesses Instagram account to Facebook Business Manager by navigating to Business Manager Settings. Under People and Assets, you will see a column of icons which expand to show text descriptions when selected. Select the Instagram Accounts option, which will now allow you to link your businesses Instagram account to Facebook Business Manager. You will need to enter the username and password for your Instagram account, but remember this must be your business account, not your personal Instagram account. If you haven’t already enabled you Twitter account for advertising, you will need to do so by visiting https://ads.twitter.com/login and setting your country and time zone. These cannot be changed, and are needed for billing and tax purposes. 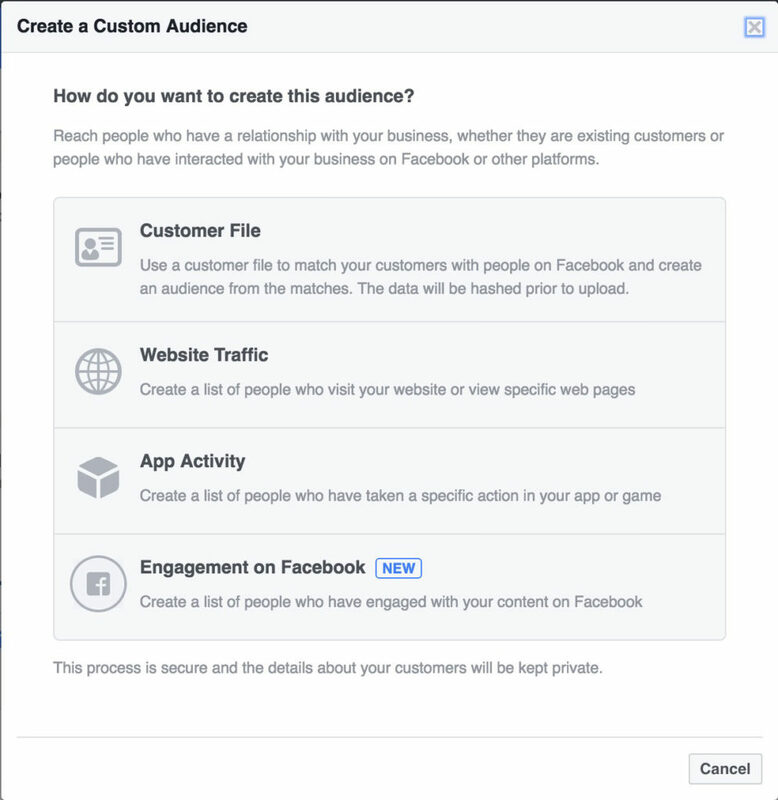 Like Facebook, you will then be guided through selecting the objective of your campaign. This can be changed for each new campaign you launch, and although the objectives are more limited than Facebook, you do have the option to create a custom campaign too. Custom campaigns are the old style ‘promoted Tweets’ you sometimes see on Twitter, and unlike campaigns with a specific objective, custom campaigns aren’t targeted at users most likely to engage with your post. Your ad can take the form of a regular Tweet, a Twitter Card – which offers a better experience than a standard Tweet, and can be used to generate leads, drive traffic to a specific page on your website, or promote your app – and finally, you can also promote a video, though this feature is still in beta. Device, Platform & Carrier options, allowing you to target users based on which device they are browsing Twitter on, which mobile carrier they are using (you are able to easily browse the different carriers for specific countries, selecting those you want to target), and you can even target – or exclude – users who have been using Twitter on a device that is less than 2-years old. Add followers is a powerful way to reach users following specific accounts. This can be used to target users following any of your competitors, or following specific brands, celebrities, etc. Add interests is self-explanatory, and the Browse categories button allows you to easily browse through a list of predefined categories and subcategories. Add tailored audiences is similar to Facebook’s Custom Audience feature in that you can upload a list of email addresses, Twitter IDs and mobile advertising IDs which you have collected, or build an audience based on users who have visited your website. A website audience again depends on you having added a code snippet to your website in order to collect information on their behaviour. 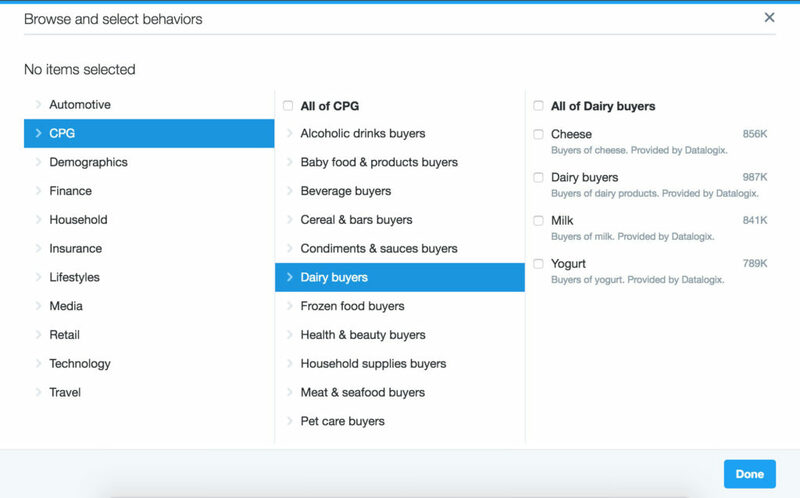 Add behaviours allows you to target users based on additional information that Twitter acquires from 3rd Party partners. Unfortunately this type of targeting is currently only available if you are targeting users in the US and the UK. Add event targeting allows you to limit your ad only to users who have expressed interest in certain global and regional events, which could be anything from music festivals, through to holidays, conferences and even upcoming movie releases. Finally, you are able to further limit your targeting by excluding certain users based on behaviour or website activity. Finally, before you ad campaign starts running, you will need to set up a bidding style, which is either automatic, with Twitter determining how much to bid for each impression, or maximum based, where you state what the maximum amount is that you are willing to spend on each impression. Both of these are separate to your daily maximum, which is the total amount you are willing to spend on Twitter advertising each day. Once that figure is reached, no more ads will be delivered until the next day for the duration of your campaign. Spend time getting to know all the targeting options, and how you can use them to precisely target your ads to the right users, in the right place, and at the right time. For best results, your targeting shouldn’t be too broad. Keep your ad copy short: you want users to take action, not spend 5-minutes reading your ad. Use images – if you aren’t using video – but not too many: one image is the ideal, but 2-3 is still acceptable in some cases. If you have a lot of products you want to promote, consider creating a product catalogue on Facebook and using the relevant Facebook Ads objective to create a campaign around it. Optimise the size of your images using this handy cheat sheet. Don’t use too much text in your images. 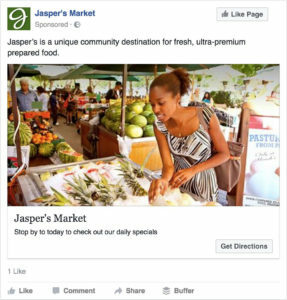 Facebook has updated their guidelines regarding text in images, but too much text will still result in your ad being delivered to fewer users. Read more here, and use this tool to check your images beforehand. Use UTM codes in any links you include in your ads. This gives you access to additional analytical information via Google Analytics. Always analyse the results of your campaigns on all platforms; this will help you better understand which types of advertisements and audience generate the best results. For the complete list of digital marketing tactics for small businesses, check out our small business digital marketing guide.